The Power of Books. I've moved from Oz to New Beijing. NerdyNatasha - Books just might blow your mind or take you on a fantastical journey. NerdyNatasha -So where are you now? Thanks to Cinder, I'm in a dystopian New Beijing where some kind of plague disables the population. Cinder is part cyborg and I still have yet to understand if the plague has something to do with it....but like in all populations the general public has a fear or a discrimination towards cyborgs of any kind. Although I have just started the reading the book, I can already envision what this overpopulated land looks like. I don't know that much to actually give an explanation, but I will in a later post. The future is something that we can all imagine....but what it really becomes is far from what our mind can wrap our heads around. So where are you now? 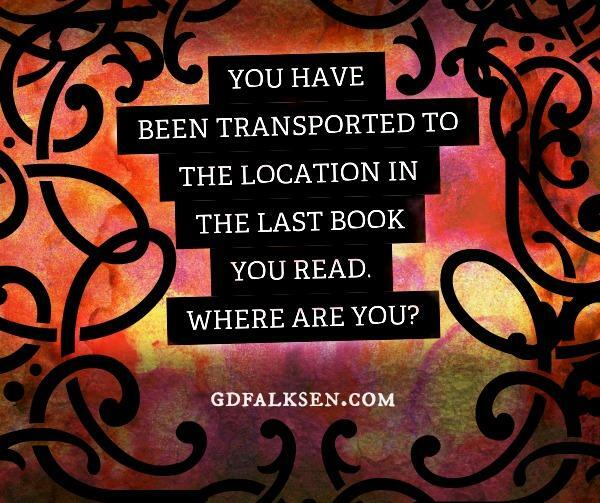 I'm always interested in where a book has taken people and what it is like.